Spread your blanket and feast upon this delicious gift of California's fine cheeses and gourmet snacks. 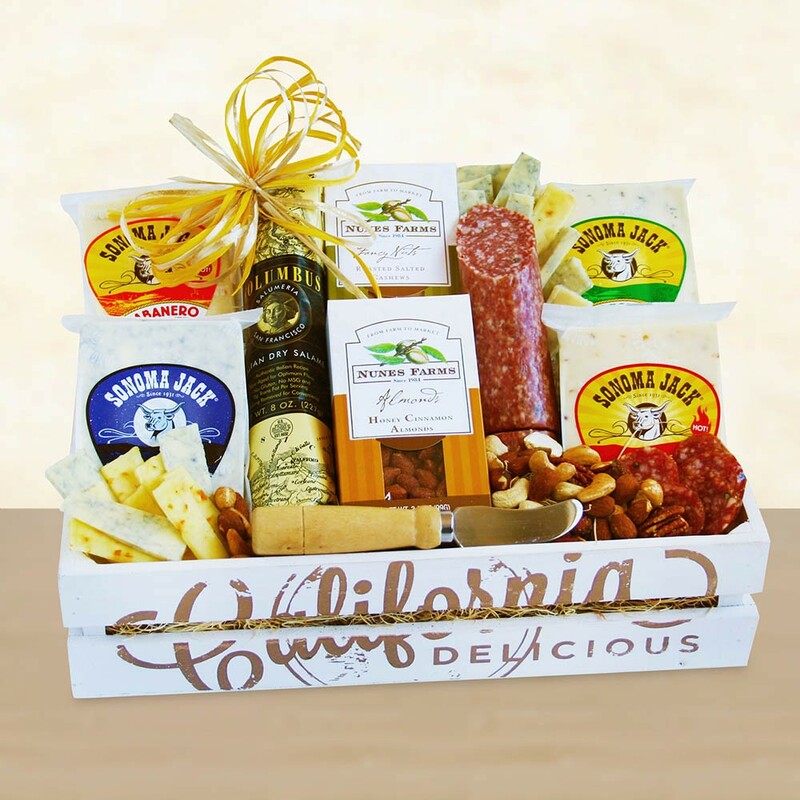 Beautifully presented in our signature California Delicious wood crate, this gift features four varieties of mouth-watering Sonoma Jack cheese, including Habanero, Sonoma Blue, Pesto and Traditional. Enjoy crunchy Central Valley roasted almonds and mixed fancy nuts from Nunes Farms, and two Columbus dry salamis from Northern California. Accompanied by a wooden cheese knife and tied with a raffia bow, this gift is perfect for the foodies in your life.